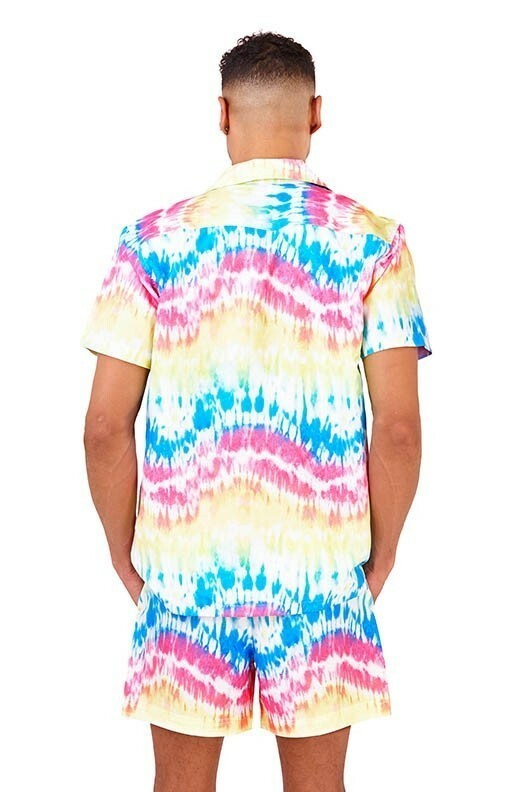 South Beach Men's Recycled Tie Dye Printed Swim Shorts. Bright and colourful for any holiday shop. Also available in a matching printed all over shirt, available here!